First things first, what is diphtheria? An infection caused by the bacterium Corynebacterium diphtheriae, diphtheria is a highly contagious bacterial disease that affects the mucous membranes of the throat and nose, making it difficult for children to breathe and swallow. It left untreated, diphtheria can cause severe damage to your kidneys, nervous system, and heart. Additionally, the most visible and common symptom of diphtheria is a thick, gray coating on the throat and tonsils. Diphtheria of the skin usually causes ulcers and redness in the affected area. So who can get infected by diphtheria? Anyone and everyone not yet immunised or vaccinated is at the risk of diphtheria. 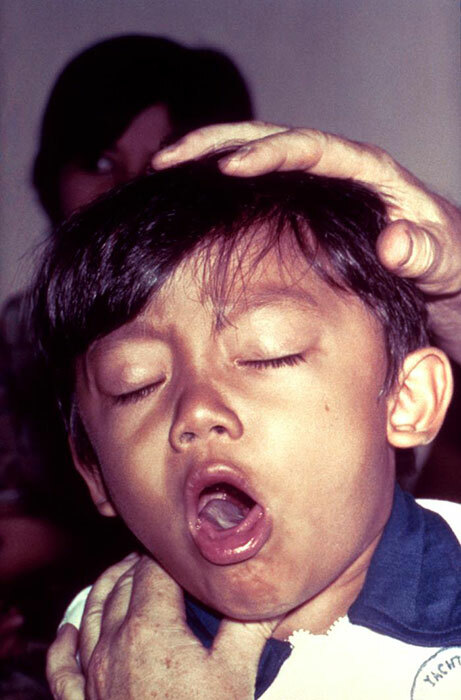 Every year, several thousand cases of diphtheria occur around the world. It was, once a major cause of illness and death among children. However, starting in the 1920s, diphtheria rates dropped quickly due to the widespread use of vaccines. Although, the disease continues to cause illness globally. Two children have died in Malaysia from diphtheria this month, apparently because their parents did not vaccinate them against the infectious disease, believing the jabs contained elements of pig DNA. The deaths have triggered outrage, prompting the Health Ministry, medical experts and a state mufti to plead with parents not to believe in rumours. Malaysian media reports say an "anti-vaccine movement" reportedly based in Kedah has spread doubts about the contents of the vaccine and about its necessity. The vaccine for diphtheria is called DTaP. It's usually given in a single shot along with vaccines for pertussis and tetanus. The DTaP vaccine is administered in a series of five shots. It’s given to children at the following ages: 2 months, 4 months, 6 months, 12 to 18 months, and 4 to 6 years. Vaccines only last for 10 years, so your child will need to be vaccinated again around age 12. For adults, it's recommended that you get a combined diphtheria and tetanus booster shot. This is known as the tetanus-diphtheria (Td) vaccine. Taking these steps can help prevent you and your child from getting diphtheria in the future. 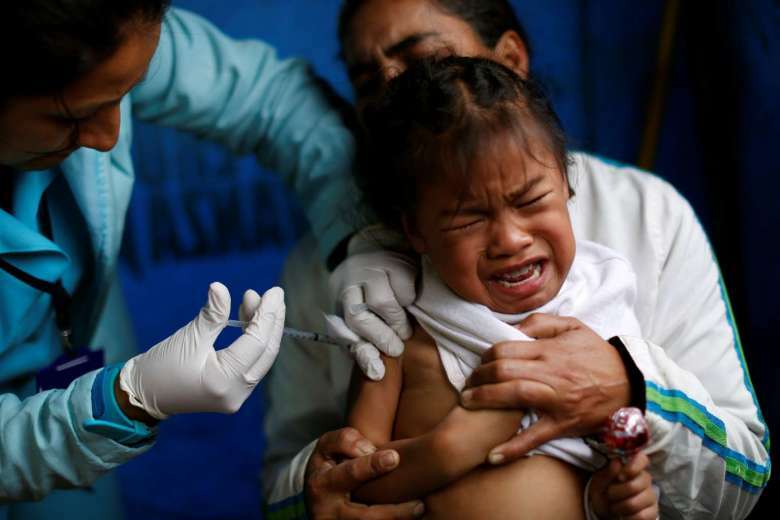 Although there are some mild reactions to it, like fever within 24 hours after the diphtheria injection is given, and soreness at the injection site. Childhood vaccination against diphtheria is, however, required under Singapore law. A process where kids are immunised against several different infectious diseases. Immunisation helps contain various types of communicable diseases. It is often, if not always, done through the use of vaccines. A child being immunised from diphtheria by giving a vaccination against the disease. Given the fact that diphtheria is transmitted through inhalation of airborne respiratory droplets and can also be contracted through physical contact with contaminated household and/or personal items, it is paramount to practice personal hygiene. Additionally, it is recommended that parents of children with fever, sore throat, and swollen glands should immediately take them to see a doctor. “I will discuss with Jakim whether there is a need for us to issue a fatwa to make it compulsory for parents to immunise their children. We will then see how we can get the National Fatwa Council on the matter,” he was quoted as saying. He also backed the idea mooted by the Education Ministry yesterday to deny unvaccinated students enrollment into public schools due to the severity of the issue. “I support the move because it is becoming more serious,” he said.